Jennifer Weaver couldn’t believe what happened when she told a Border Patrol agent at a checkpoint in Texas that she had two pistols in her glove compartment with the proper concealed-handgun license in her purse. The Arizona Republic reports that Weaver was forced to the ground and was held for an hour while agents ran gun checks and thoroughly searched her vehicle. The same thing happened two weeks later, she said. Her complaint is nothing new. 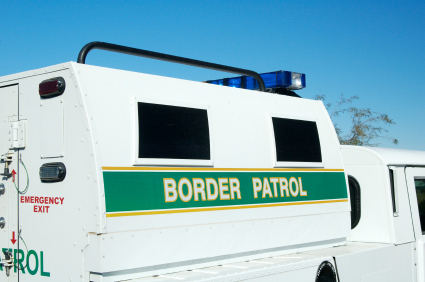 The scores of checkpoints on roads and highways near the U.S. are intended to check on the immigration status of passers-by. But privacy proponents say the checkpoints “have become an invasive catch-all for general law enforcement, and that they subject residents who pass through them to harassment and unconstitutional search and seizure,” the Arizona Republic reported.